Cinder is set in a futuristic world where cyborgs, androids, and visitors from the moon (Luna) are all part of every day life. Sixteen year old Cinder is a cyborg who lives in New Beijing with her wicked stepmother. She remembers little to nothing about her life before age eleven when she was adopted by a scientist who soon dies and leaves her with his wife and two daughters. While cyborgs are are considered a mistake of society, Cinder has many helpful capabilities: Her brain interface allows her to be extremely adept at fixing things mechanical in nature and her portscreen is installed inside her brain allowing her to retrieve needed information quickly. Her mechanic's reputation brings the prince of New Beijing, Prince Kai, to her booth seeking assistance with his malfunctioning android. Cinder is eager to be of assistance to the prince, but is soon distracted when her younger step-sister (and friend) is diagnosed with the plague that has been killing the citizens of Earth for over a decade. Cinder's step-mother blames Cinder for her daughter's illness and volunteers her for plague research. Cinder is poked and prodded and then injected with the plague virus. What the royal scientists discover is utterly surprising and Cinder's status quickly changes from guinea pig to a commodity. While I wasn't sure about the sci-fi parts of this novel when I first picked it up, I was quickly drawn in by the well developed characters and fairy tale elements. 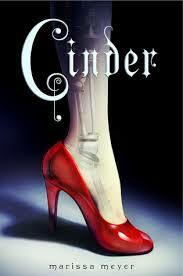 Cinder is the first in the four book Lunar Chronicles series by Marissa Meyer. This fractured fairy tale series is excellent. I read Cinder in just a couple of days and quickly moved on to the second in the series, Scarlet. I have also had the privilege to read an advanced copy of the third book, Cress, due to release in February 2014. While Cinder was an amazing book all on its own, what I love most about this series is the way Marissa Meyer weaves the characters together in the subsequent books. 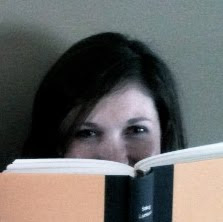 Fans of dystopia... this is a must read! 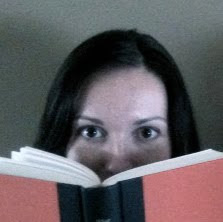 Note: Check Marissa Meyer's website to find out more about the series.